ExRx.net : Is the Obesity Crisis Hiding a Bigger Problem? Surgeon Peter Attia has focused his medical career on investigating the relationship between nutrition, obesity and diabetes. Dr Attia developed metabolic syndrome himself despite being an avid exerciser and nutrition buff. Realizing that our understanding of these important health issues may not be correct, he co-founded the Nutrition Science Initiative, a nonprofit organization that uses vigorous scientific inquiry to test current dogma and alternative hypotheses. 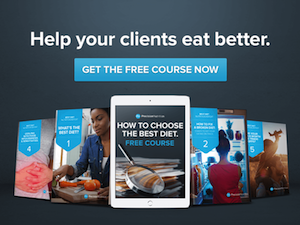 Attia also writes Eating Academy, a blog documenting his own adventures in nutrition, which examine scientific evidence surrounding food, weight loss and disease risk. Dr. Attia received his medical degree from Stanford University and holds a BS in Mechanical Engineering and Applied Mathematics from Queen’s University in Kingston, Ontario, Canada. He performed his surgical training at the Johns Hopkins Hospital in Baltimore, Maryland and his fellowship in surgical oncology at the National Cancer Institute in Bethesda, Maryland. Also see Dr Attia's other lecture: The Limits of Scientific Evidence and the Ethics of Dietary Guidelines.